Image: Steve Granitz/Getty Images, J. Countess/Getty Images. 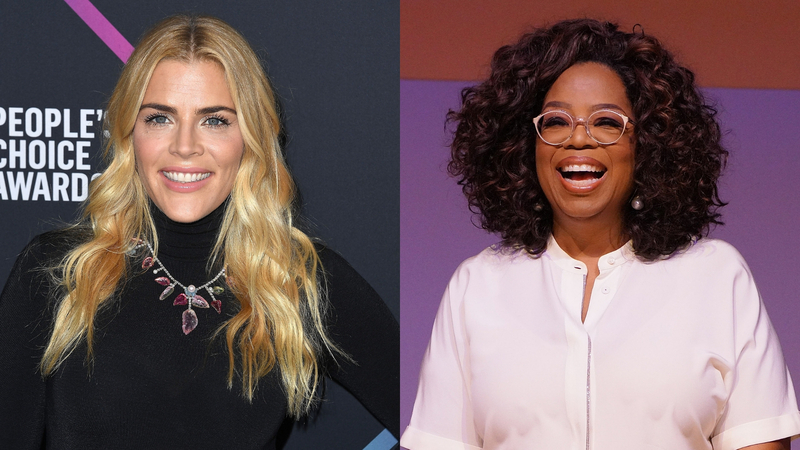 We all love Oprah Winfrey, but we’re pretty sure that only Busy Philipps has a phone line dedicated exclusively to potential calls from Oprah. After months of that phone sitting silently on a shelf on Philipps’ Busy Tonight set, on Thursday, it finally rang! Winfrey called Philipps during a taping of her show, which brought Philipps to tears as they talked about Winfrey’s frequent garden harvest day posts and Philipps’ accomplishments as a female late-night TV host. After the two women exchanged hellos, Philipps admitted when Winfrey asked about her well-being that the call prompted her to burst into tears. “I’m crying now and I have a cold, but I love you,” Philipps said. Philipps posted a photo of her “Christmas Barbie” ensemble on Instagram ahead of the broadcast, encouraging her followers to watch “especially if you want to know why I haven’t stopped crying for hours.” She also shared a clip of her phone call with Winfrey and then a series of photos of herself during their call, writing, “I. Have. Zero. Chill. (When it comes to @oprah).” She included heart and crying emojis. At this time, Winfrey has yet to post a snap of Thursday’s tangerines, but we honestly hope that someday, she and Philipps will get to take a harvest day photo together.